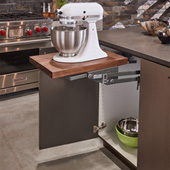 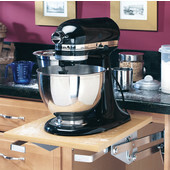 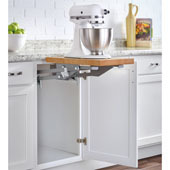 The Rev-A-Shelf Mixer- Appliance lift is the ideal way to conceal small appliances when they are not in use. Two tension springs make raising and lowering a breeze. 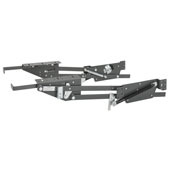 The lift locks in both the closed and opened position and features a load bearing capacity of 35 lbs and 60 lbs.